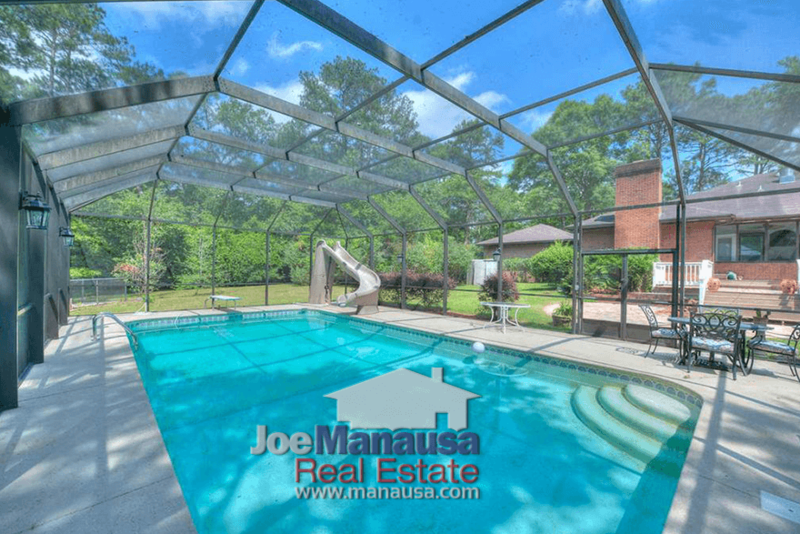 Tallahassee gets really hot this time of year, and nothing makes it cooler than an awesome backyard swimming pool. So why not take a tour of all 107 Tallahassee homes for sale with backyard pools, and then catch the video of the ten best swimming pools in the world. You can do it all right here! Along with adding value to your property and beauty to your backyard, a swimming pool offers other benefits. Backyard pools can encourage increased activity and recreation levels in so many ways. A backyard pool can bring busy families closer together - By creating a backyard fun zone, a swimming pool provides the perfect environment where children and parents can interact and engage to build stronger relationships. This sets the stage for outdoor living, and scores of homeowners have the benefits of increased outdoor family activity. And whose kids don't love the water? Your own private aquatic playground may keep them at home more frequently. A pool might even entice your kid’s friends to spend time at your home with your supervision (versus the other way around). If your child has not yet learned to swim, a pool encourages opportunities for practicing in a safe environment. The ability to swim is a skill and benefit your children will carry for their entire lives. Another way a backyard swimming pool promotes family bonding and togetherness is by serving as a catalyst for social events that involve other children and other families. Your private resort provides a wonderful venue for informal parties and gatherings like potlucks, barbecues, and pool events. Having your friends and neighbors over is a great way to engage with others from within the confines of your own backyard. Even mild exercise is better than watching TV as a couch potato - Even if you spend an afternoon floating on a raft in your backyard pool, you will get healthy vitamin D from the Sun and burn more calories than you would have sitting on the couch and watching television indoors. A backyard pool calls to you and tells you to "get up and get moving," something we all need from time to time. While it is not likely you'll build a backyard pool that is ideal for lap swimming, it is not hard to work-up a swim-based training exercise that is low-impact and excellent cardio workout. Let your swimming pool serve as the cool voice of reason calling you to get up and move! The shallow end of the pool makes for a great area to stretch out the muscles - What makes swimming different from many other forms of exercises is that you are able to achieve a full-body workout in a supportive, low-impact environment. Perhaps the inclusion of an aquatic gym could make it desirable to exercise without the typical levels of stress on your joints. The buoyancy of the water creates a low-impact environment that is safer than even yoga, walking, cycling, or other indoor exercise machines. Swimming in your backyard pool is a great option for those with limited mobility due to injuries or conditions like arthritis. If you have pain or sore joints, this may just be what the doctor ordered: Pool water soothes your aching muscles and joints — without creating additional strain or tension as you would generate with impact exercises. The shallow end of your pool is an excellent place to stretch gently and increase your range of motion. It’s also a good spot for the elderly who are trying to exercise in a safe manner, as well as for children who are new swimmers or who are still learning the skill. The spa is a great place to relieve tension - A whirlpool (spa) can provide a different option for health and fitness. The warm, bubbling water is perfect for exercise, with the heat relaxing sore muscles and aiding circulation. Even in wintertime, when it might be too cold for pool use, you can still enjoy your spa. The hot whirling water can compliment your fitness routine. When you engage in ordinary exercises, a relaxing time in the pool afterward is a great way to wind down. And almost everyone enjoys a dip in a bubbling spa to help relieve muscle tension from a hard workout. These incredible pools are built well beyond the scope of a backyard pool, but that doesn't mean we can't enjoy them. Here are ten swimming pools located all around the world, can you find aspects and features you would like in your own backyard pool? As somebody who has built a large pool in his backyard, as well as purchased homes where pools already exist, I can tell you the latter is far more affordable than the former. 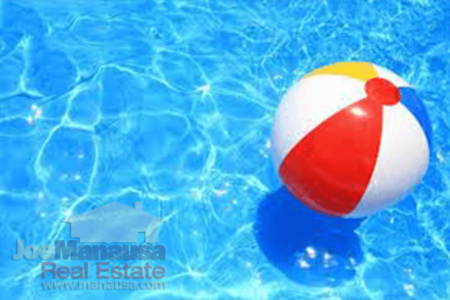 In fact, you will typically pay $.30 to $.50 on the dollar for an existing pool versus having to add one yourself. 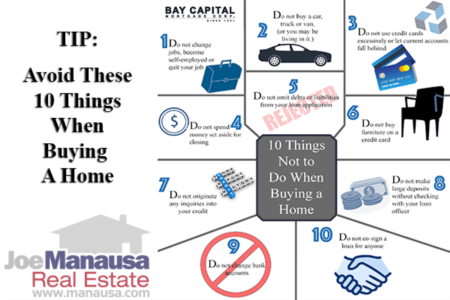 This is why we encourage you to shop from the 107 backyard pool homes listed above, as buying a home with an existing pool is your best financial option. If you would like advice from somebody who knows a lot about homes with pools, simply drop me a note and we'll be in touch right away!